Supports 64-bit versions and Microsoft Windows Vista. 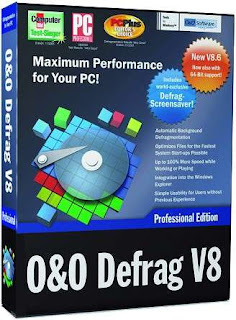 New: World-exclusive Defrag Screensaver included. Blazing system starts. Up to 100% more speed . Complete automation with O&O OneButtonDefrag.Special support for notebooks. Screensaver mode. Automatic background defragmentation. Support for removable drives. Easy to use even without previous experience. Five different Defrag methods.